Hi Sylvie - what pretty card I love the lace effect on it. Is that a stickeroo you have used? 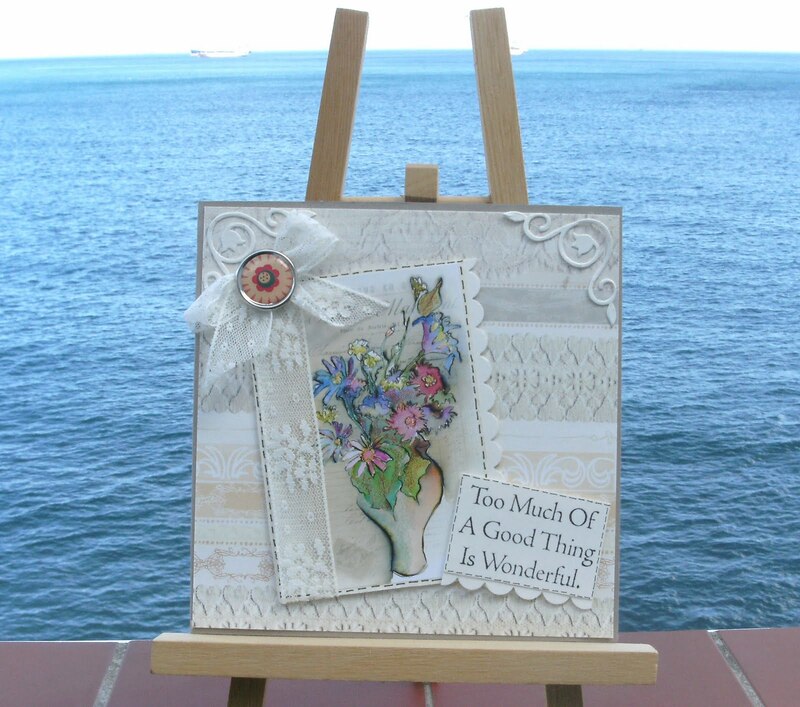 Hi Sylvie, such a fabulous card, so so pretty. pleased the weather is better today, if thats the weather behind your card it looks lovely, been sunny here today been to skegness it was cold on the beach, coat and hat weather. This is beautiful! 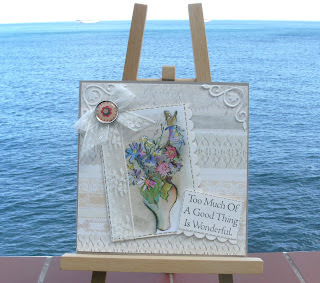 Such a pretty image and I love the swirly corners! Thanks for joining in with the Penny Black challenge! Gorgeous Sylvie, beautiful image and wonderful details.